Bliss Nail Spa isn’t just a nail salon, it’s an absolute beauty experience. We are inspired to provide our guests with superior relaxation and beauty services in an elegant and relational environment. We pride ourselves on tailoring our services to the personal needs of each guest, and build meaningful relationships with them. We only offer the highest-quality products and services, including exceptional manicures and pedicures, essential waxes, infamous eyelash extensions and indulgent facials. 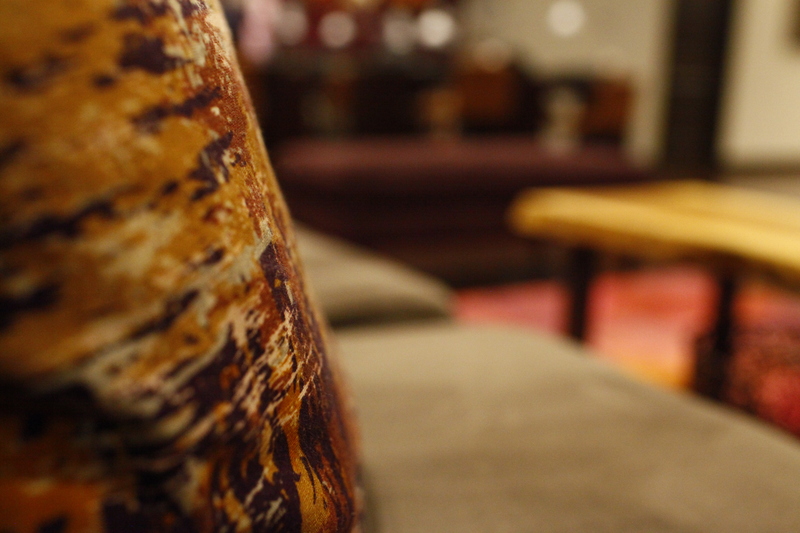 We want our guests to experience Bliss. We offer a variety of nail and skin care treatments to fulfill all your beauty needs. All of our Full Sets & Fills are starting prices. *all of our waxing services are starting prices. Prices may vary depending on time and quantity of hair. 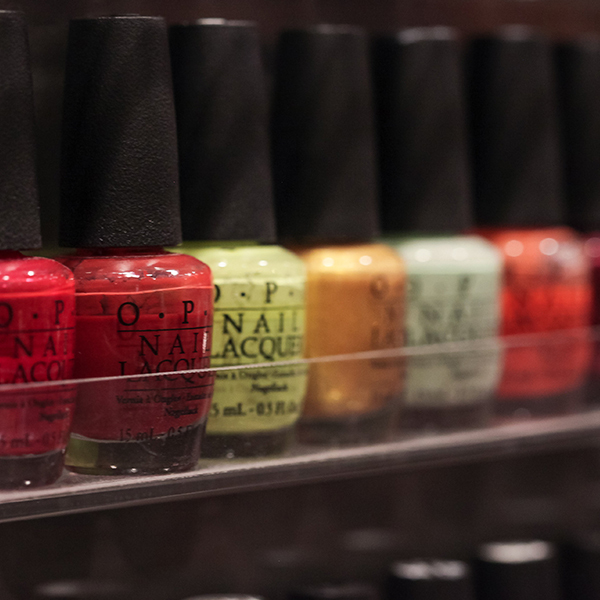 When you need a little pampering, a mani-pedi nails it! File and shape your nails as desired. Your hands will be placed in a warm hand soak to soften your cuticles for gentle trimming. Concluded with relaxing massage and your choice of nail polish. A traditional manicure customized for men. In place of polish we offer a high buff to give your nails that natural shine. Relieve your hands with this ultimate moisturizing manicure! We exfoliate your hands with our sugar scrub followed by a moisturizing hand massage and dipped in a warm bath of soothing paraffin wax. With our Spa Gardenia Manicure, we begin by exfoliating your hands with our creamy indulgent sugar scrub. Next, we wrapped them in our spa gardenia masque to moisturize skin for a fresh, luminous glow. We conclude our manicure with a luxurious hand massage and dipped in soothing paraffin wax. Shellac Manicure is a Traditional Manicure with Shellac application. Shellac is the first new hybrid nail color that goes on like polish and performs like gel, lasting up to 14 days. Unlike nail enhancements, there is no filing, no drilling and no buffing, leaving your nails undamaged and healthy. With our Shellac Manicure leaves your nails with resilient mirror finish with zero dry time, so no smudges or chipping. So go ahead and fish for your keys! 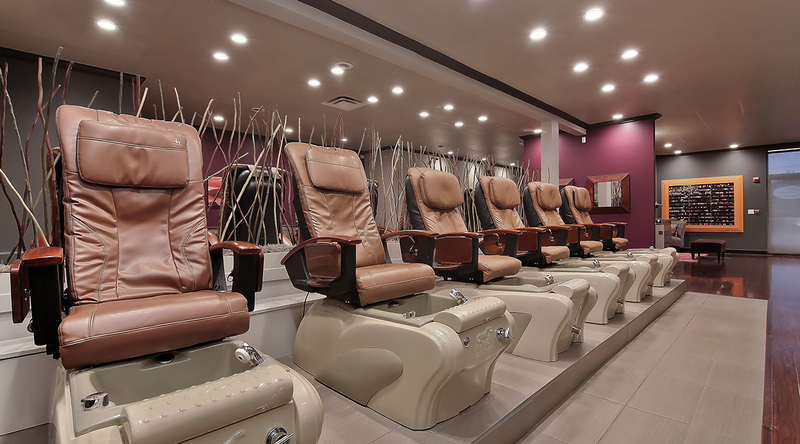 Our traditional pedicure covers all your basic needs. We also provide an invigorating salt scrub to remove dry and dead skin followed by a relaxing foot massage and your choice of nail polish. Our traditional pedicure customized for men. Our Bliss Signature Pedicure combines the essentials your feet need with the pampering you desire. In addition to our sugar scrub, this service offers a smooth and cool mint masque leaving your feet feeling fresh and clean. Finally, we replenish moisture with our therapeutic foot massage and soothing paraffin wax treatment. With white floral fragrance notes, gardenia and jasmine, this pedicure will hydrate, moisturize, and soften skin with its replenishing and purifying botanical blends of chamomile and sandal wood. Leaves skin luxuriously soft with every touch. Enjoy our traditional pedicure with Shellac application. 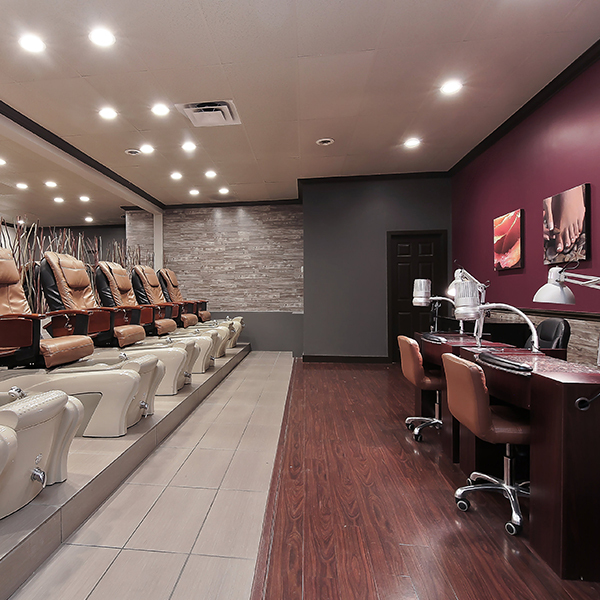 With our Shellac pedicure, you can put your shoes and socks back on without smudging them! Imagine the freedom! Eyelash Extensions are the ultimate answer for longer, thicker, more beautiful looking eyelashes. Classic lashing is the art of skillfully applying one single eyelash extension to each isolated natural lash. Developed to mimic your natural eyelashes, each eyelash extensions are individually applied to each single, mature eyelash, resulting in a gorgeous natural appearance. Using a proprietary adhesive, eyelash extensions are only applied by our trained and certified lash artists. Eyelash extensions are not traditional false eyelashes, flares or implants. Safe and comfortable to wear, eyelash extensions are never applied directly to your skin or eyelid. With routine touch ups every two to three weeks, you can have amazing eyelashes forever. Volume is an advanced application technique of safely adding multiple eyelash extensions to each single eyelash, while preserving the long-term health of your natural lashes. This technique boosts coverage, creates bold volume, and feels soft and weightless. Curl Perfect Lash Lift is a new generation perming method that is safer, more effective, and more beautiful than traditional eyelash perms. Create lift, curl, and definition to natural lashes! Great alternative for guests not wanting the maintenance of eyelash extensions. Last up to 3-6 weeks. Requires no lash adhesive or lash extensions. 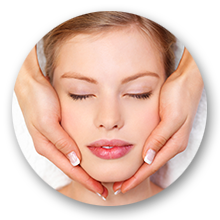 Our signature facials leave your face smooth, fresh and filled of life! Pamper yourself with one of our signature facials. Our Signature facial is tailored to each skin type—including oily, dehydrated, aging, or combination skin. A deep cleanse and tone is followed by exfoliation to polish away impurities. Steam is applied then we extract impurities to reveal a fresh complexion. Targets redness, visible capillaries, and environmentally stressed skin. 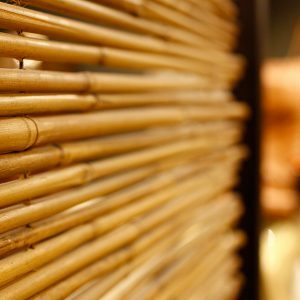 Gentle massage techniques are paired with a clinical redness-reducing and skin-calming ingredients to help even the most delicate, upset, and sensitive skin rebalance and renew. Relieving redness as it comforts, this complete treatment is the ultimate oasis for stressed, irritated skin. Ideal for skin in need of nourishment. Targets sagging and aging skin. A one-of-a-kind treatment designed to lift and sculpt the look of sagging and aging skin. A skin analysis will evaluate your most urgent concerns, followed by deep cleansing and exfoliation to prepare your skin for clinical ingredients. We’ll intensify the treatment with an application of our powerfully active firming mask, designed to lift, tighten, and firm the feel of skin. You’ll see and feel the renewing benefits immediately, as poor elastically, dullness and lines improve. Targets and revives dull and oxygen-depleted skin damaged by pollution. Our increasingly dirty world is full of skin-aging atmospheric stressors from pollution, exhaust fumes, industrial smoke, ozone, extreme weather, free radicals and more. New research shows that skin exposed to daily toxic pollution becomes prematurely aged, weakened, dull, dehydrated, hyperpigmented and sensitized. This facial is designed to effectively target and protect atmospherically compromised skin – you’ll emerge with stronger, brighter, revived skin. Targets aging skin, pigmented spots, and dullness. Your skin’s introduction to a peel begins here. Potent but gentle lactic acid, plus exfoliating pumpkin fruit acids and stimulating pomegranate zero in on premature age signs, with zero recovery downtime. Ideal for inflamed breakout-prone skin, surface wrinkles, and even post-acne dark spots. You’ll see an increase in hydration, as skin emerges visibly clearer, brighter, and less lined. Dramatically aid the removal of aging dead cells, awaken dull skin and target pores with this active enzyme treatment that’s ideal for all skin types-even sensitive. Your esthetician will choose the enzyme or peel for your skin’s exact needs, formulated with active ingredients including papain, papaya, and pineapple enzymes, and stimulating cinnamon. See noticeably improved skin that’s smoother, energized, and radiant. Targets damaged, aging, congested, rough skin. The skin you want is under the skin you see. Reveal it with our powerful, non-surgical acid-hybrid peel. You’ll undo years of visible damage and premature age signs-without the redness, flaking, or actual “peeling” of the skin from a traditional peel. Our advanced peel technology removes the uppermost layers of the skin at a microscopic level, to immediately tighten, unclog pores, improve lines, and leave skin with a younger, velvety-smooth texture. Plus, you’ll benefit from detoxifying activated charcoal to draw out aging impurities. Press “refresh” on your skin with this instant rescue facial anytime you’re in need of a deep detox. Well start with a one-on-one skin analysis to assess your individual needs, then customize our treatment right from the start. A deep-down cleanse and exfoliation to help purge impurities will be followed by a detoxing mask to filter out skin-stressing toxins with Vitamin C and activated coconut charcoal. When you’ve tried every pencil, powder, pigment gel, and stencil at your local -cosmetic department and your brows are still off fleek, micro-blading/powder brow- a more permanent solution to thin eyebrows- is the last- ditch- effort treatment that promises to change your brow life. Powder Effect is a “megapixel technique” for individuals who try to achieve a fashionable powder eyebrow make up look. This method involves the application of thousands of tiny dots of pigment into the skin, gradually building up a color and a well-defined shape. Micro-Blading is a manual technique of depositing pigment superficially in the upper region of the dermis with the use of a hand tool with attached needles fused together in a linear grouping, creating crisp hair strokes that can have a natural appearance. This procedure is a combination of micro-blading and powder effect. Micro-Shading method allows you to create an illusion of both natural eyebrow hairs and brow powder application. This procedure is designed to give the appearance of fuller and defined lips. 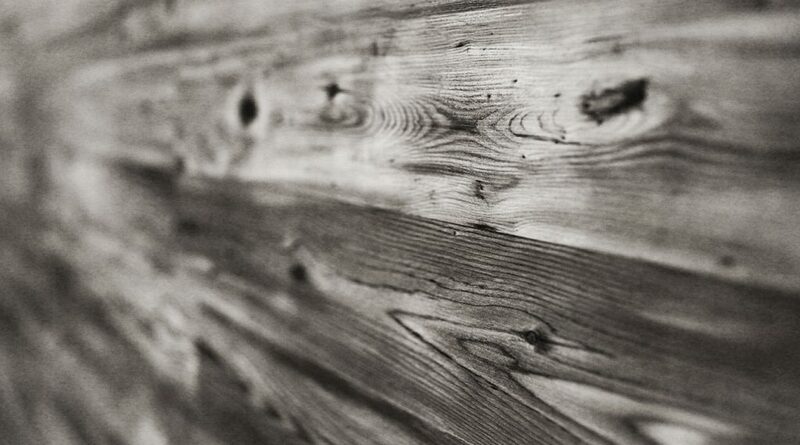 It also can effectively correct asymmetry. A “Permanent Lipstick” is a combination of lip liner and lip color. The result is a youthful pout enhanced with the color of your choice. No more smudging or having to reapply throughout the day. This procedure is the outlining right on the border of the lip. The “Everlasting Lip Liner” enhances your lips by defining them and giving them the illusion of fuller lips. This treatment is to remove unwanted pigment from a previous procedure. We would tattoo a safe hyper-tonic salt solution that deems extremely effective in pigment lightening and removal into the unwanted tattooed area. This process draws the pigment to the surface of the skin where it would eventually exfoliate away. Please expect up to 3-12 procedures before seeing desired results. With this method of tattoo removal, tattoos are expected to get lighter, but a full removal is not guaranteed. The skin can be re-tattooed after this treatment is healed. Prices are determined on the size and area of the unwanted tattooed area. It is important to us that each of our guests are provided with superior service, to ensure that they have the best experience possible. Please be courteous of our other guests and review our spa policies here. Credit cards are required to secure all appointments. To avoid charges, please honor our 24-hour cancellation policy for single treatments or services. Group reservations require 48-hour notice. Late cancellations will be subject to a fee equal to 50% of the service price. No-Shows will be charged full menu price. Even though we love kids, infants and young children are not permitted in the spa. Children 5 years and older are permitted with scheduled services. This policy allows our guests to fully relax and enjoy their visit with us. Please make child care arrangements prior to your scheduled appointment. Your fellow patrons will thank you. We are committed to providing superior services to our guests. Our prices do not include gratuities. If you wish to leave a gratuity, you may do so at the spa reception desk. A gratuity of 18% will be added to groups of 4 or more. Gift Certificates are a wonderful way to give the gift of relaxation. 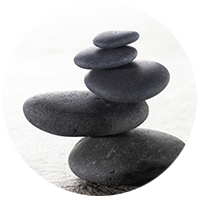 You may purchase gift certificates at the spa reception desk or by calling Bliss 425-357-5258. Gift Certificates are valid for products or services only and must be presented for redemption. Gift Certificates cannot be replaced if lost or stolen. Group Events of 4-12 people can be held during business hours. Group events must be guaranteed with a credit card and will be charged an 18% gratuity. We can only guarantee services for scheduled guests. Please provide a minimum of 5-day notice for group reservations. Please arrive 10 minutes before your scheduled reservation time. To ensure that our spa specialist provide you and your guests with excellent service, we request the names of all guests and their preferred services at the time your reservations are made. We require 48-hour notice for cancellations. If appointments are canceled less than 48 hours prior to the reservations, the host will be responsible for a $150 cancellation fee. No-shows will be charged for full menu price. 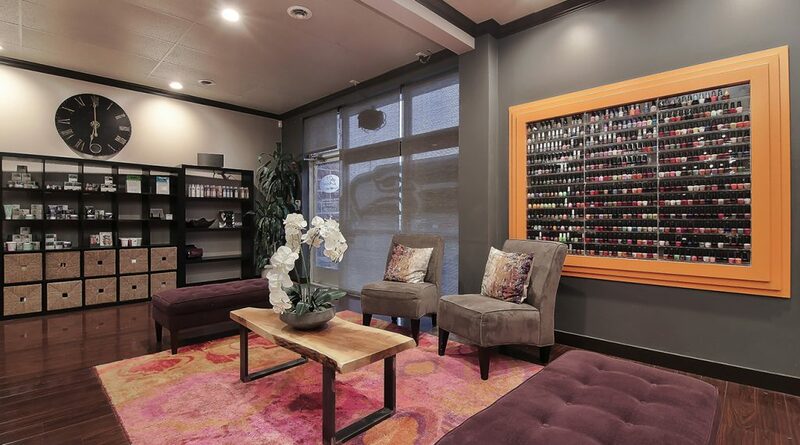 Only Salon in Best of Western Washington in all 3 categories of Best Manicure and Pedicure, Best Eyelash Services, Best Day Spa. My experience, though it was my first with this salon, was fabulous. I was even wished well, they remembered my name, on the way out. 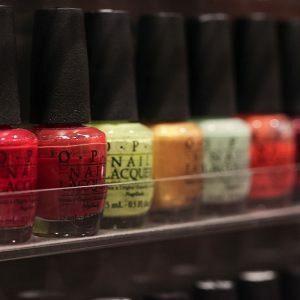 Overall, a great nail spa that matches the quality with price. Money well spent I must say. I drive here from Snohomish because I LOVE the service SO much! I like the Bliss Signature mani/pedi with the paraffin and all the goodies. This place is Awesome!! Tina, Nina, Holly took care of Karri and I! Pedicure!! Manicure! © 2019 Bliss Nail Spa. 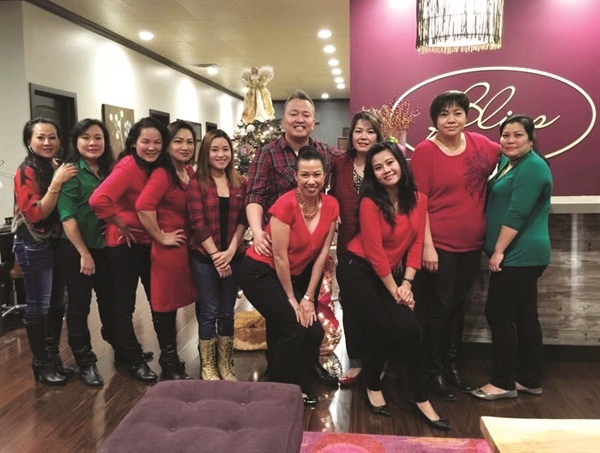 Bliss Nail Spa is a full-service spa dedicated to providing premium client service and satisfaction, while furnishing an inspiring, replenishing environment for the mind, body and soul. Furthermore, we offer products along with a comprehensive selection of skincare, massages, nail treatments, and spa packages at a level of service that is unsurpassed. We strongly believe that the basics of our business lies in building long-term relationships with each and every one of our guests, by fully catering to the specific needs of each individual. Our main objective is to simplify and beautify your lifestyle with our signature touch of soothing sophistication.